Today is a good reminder to always call before you dig. Every property owner in Colorado should know the utility location services number, 811. Colorado Springs Utilities wants to remind its customers to contact 811 prior to digging, no matter the equipment or tool being used, or size of the project. 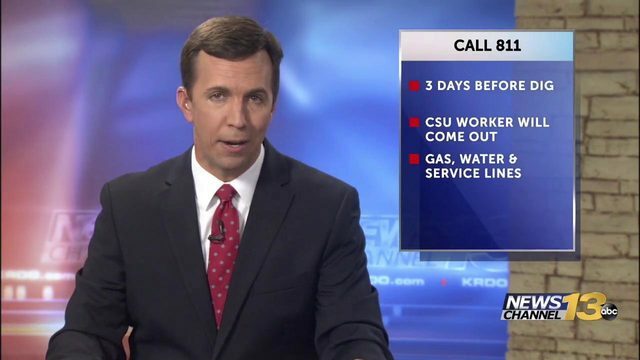 CSU says a large percentage of its electric, natural gas, water and wastewater mains, and service lines are underground and out of sight, and very dangerous if exposed or damaged. “Many of our customers are installing fences, planting trees or shrubs, and laying patios, all examples of digging projects that require 811 notification,” said Shelly Dornick, Springs Utilities Damage Prevention Program Administrator. And now, contacting 811 is easier than ever. Simply click colorado811.org, or if you prefer, call 811.